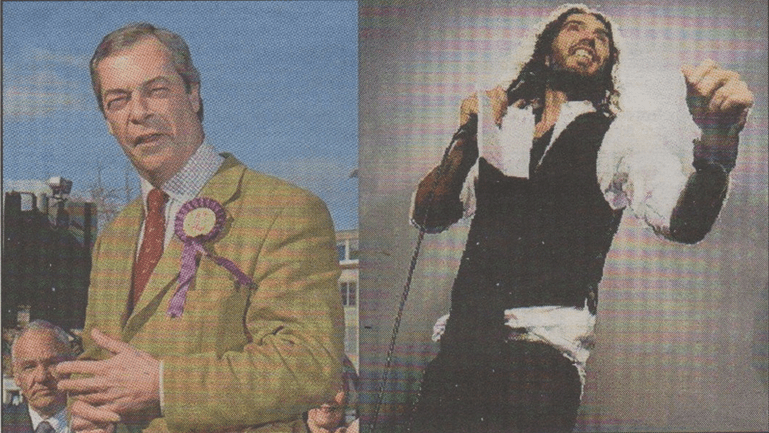 TWO of the most controversial political figures in the country Russell Brand and Nigel Farage, will clash in a Canterbury edition of Question Time tomorrow (Thursday). It has been billed as a clash of the Titans with fireworks expected. Mr Brand – who was brought up in Grays in Essex — has become a social campaigner in recent months, calling for greater taxation on the rich, among other things. Mr Farage is standing for the parliamentary seat of Thanet South. Also on the programme, which allows members of the public to ask questions about the big issues of the day to leading public figures, will be Labour MP Mary Creagh, and a number of other guests yet to be confirmed. This will be Mr Brand’s second appearance on Question Time, and Mr Farage’s eleventh. Applications to be among the show’s audience were filled out last week and it is understood that the questions will be decided today and tomorrow. Previous The most amazing Christmas decoration …ever!